Heeft u een vraag voor J Residence Guest House Ciumbuleuit? 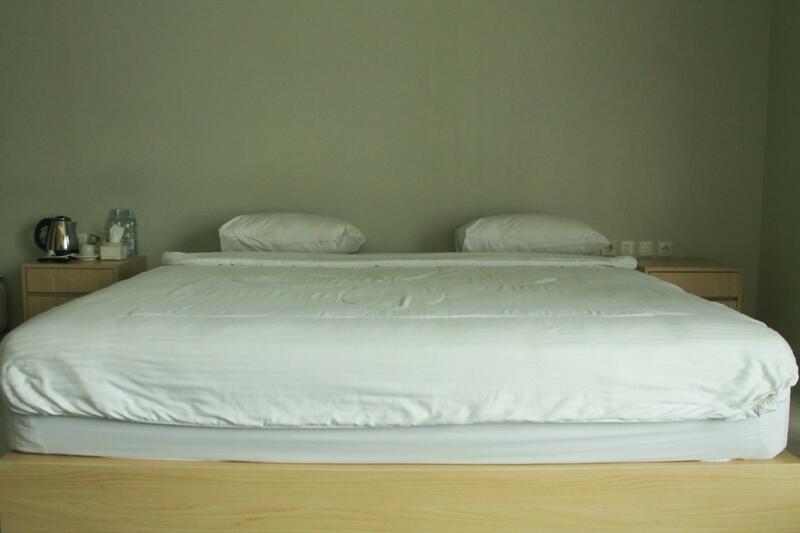 Als u zoekt naar een gunstig gelegen accommodatie in Bandung, zoek dan niet verder, J Residence Guest House Ciumbuleuit is wat u zoekt. Slechts 6.7 km verwijderd van het stadscentrum, is dit een goede plek voor gasten om te genieten van de attracties en activiteiten in de stad. Voor mensen die er op uit willen gaan, Garasi Opa, Rumah Mode Factory Outlet, Fashion World Indonesia zijn slechts enkele van de attracties die beschikbaar zijn voor gasten. 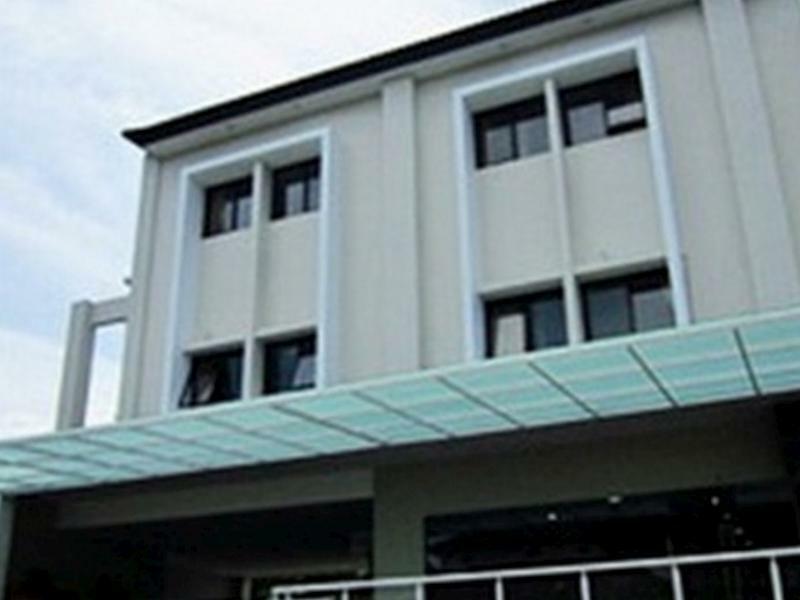 J Residence Guest House Ciumbuleuit biedt vele voorzieningen om uw verblijf in Bandung zo aangenaam mogelijk te maken. De accommodatie heeft een uitgebreid aanbod aan services, inclusief gratis wi-fi in alle kamers, 24-uur receptie, wi-fi in openbare ruimtes, parkeerplaats, wasserij. J Residence Guest House Ciumbuleuit beschikt over 80 gastenkamers. Deze zijn allemaal smaakvol ingericht voor optimaal comfort, met voorzieningen zoals plasma tv, thee, gratis welkomstdrankje, handdoeken, internet (draadloos). Of u nu van fitness houdt, of gewoon lekker wilt ontspannen na een drukke dag, het kan allemaal dankzij recreatieve voorzieningen zoals tuin. Wat de reden van uw bezoek aan Bandung ook is, J Residence Guest House Ciumbuleuit is de perfecte keuze voor een enerverende vakantie. 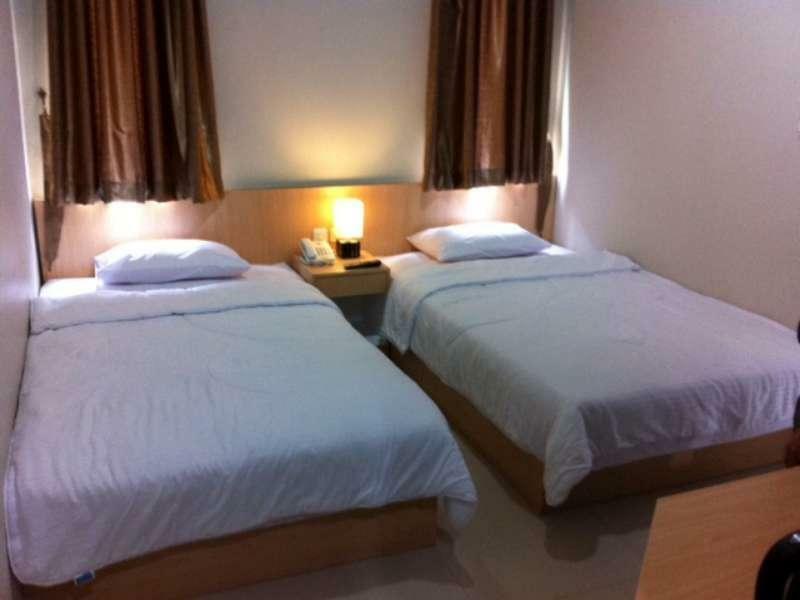 I got from agoda a family room available, but actually room is very poor not like a pic : bed in a floor, bath room like a kitchen without floor, ants in bath room, no towels & no intercom in a rooftop room. This was my 3rd stay here and will my last stay here, sorry ! at first the staff was very helpful. the room is clean, the facility are in usable condition, but i got room which the wifi signal is not good enough. but after using own modem, i can connect to internet easily. which means, the 3g/4g signal was not bad in the room. the location is a bit far (200m) from the main street, so if you dont have car/motorcycle, you have to walk a little. So I'm on a business trip for 2 nights, looking for a Guest House in Bandung because I'll spend most of the time outside. Really need a space for sleep only, well most of the 3 or 4 stars hotel wouldn't be worth in my perspective so I found this place is really great and affordable, they have great photos also. When I follow the google maps for their location, kill me, the place is really DOWN there, it's like a cliff! And really tight, it can only fit for 1 car. Checking in at 9pm, really fast and easy. But they told me that no breakfast at all and I really understand this because I prefer have a great munchies outside, Bandung has a tons of great great foods! When I got to the room, well the room presentation is great, it's clean and seems comfy. But when I slide the curtain to open the windows and try to enjoy the cold weather, all I can see is a room coridor. It's getting worst in the morning, there's no sunlight entering the room, at all, it's like you live inside a container. The bed also hard, I don't really know if their bed really meant for those who's having a back problem. Few things more, amenities are gross and sandals are super ugly. Finally it's check-out time, they have a warm farewell and give me 50% voucher card for the next stay. I made up my mind already before they gave me the voucher, that I'll never go back to such place. So, glad I made it out up here so I can make a review about this place because the internet/wifi didn't work when I stay there. But if you're looking for a place to hibernate, I guess you found a nice one. Location in North Bandung, near Parahyangan Catholic University. The room design. Has its own parking lot. The reception still new with lack of information. The hotel itself can be booked monthly for the university student. Did not have breakfast. The room design was creative using the limited space so it looked spacious. The king size bed it's a plus considering the 2 star hotel. After we checked out we got the hotel voucher for our next stay. Overall I quite enjoy staying here. Pleasant stay although getting transport can be a bit tricky. The residence is located away from main road so if walking slight uphill for 5 minutes or more to get a taxi is not an issue then it's ok. The staff can always call for a cab so it's best to order a cab before leaving room. Clean, not expensive hotel, and the location also ok.
Ok for me, because with the money we paid, this hotel is good. Only the water heather not really good. And please dont put the address in front of Parahyangan University, because the location yes near the Parahyangan University but you must turn left - you can found small street and you must turn left first before you found the hotel. The first time looking for this hotel rather difficult we found it, because we thouht really in front on Parahyangan University. It was great when i stay in this hotel. Even when this hotel is joint with a guest house, there is a separator between hotel and guest house, make me still feel comfort. One negative thing about this hotel was the hot water is not running well. It makes me a little bit disappointed with this facilities of this hotel. Overall, it is a good hotel to stay and take a rest after took a journey to explore Bandung. 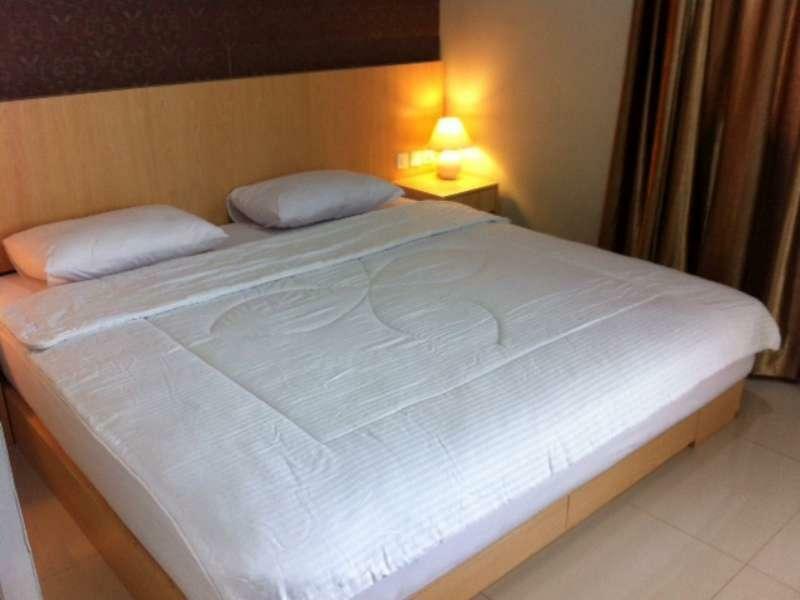 Nice hotel with clean and large room. Easy if u want public transportation. Friendly staff. Tidak selesa kerana pihak hotel menukar bilik sesuka hati tanpa memberi tahu saya terlebih dahulu dan mengangkat barang peribadi saya ke bilik yang baru tanpa memberitahu saya terlebih dahulu..perkara ini tidak sewajarnya berlaku kerana dikhuatiri barang peribadi saya hilang..dengan alasan bilik saya bocor TETAPI..bilik yang asalnya saya diami diganti dengan penyewa yang baru..